Did America's departure from Vietnam produce the "peace with honor" promised by President Richard Nixon or was that simply an empty wish meant to distract war-weary Americans from a tragic "defeat with shame"? 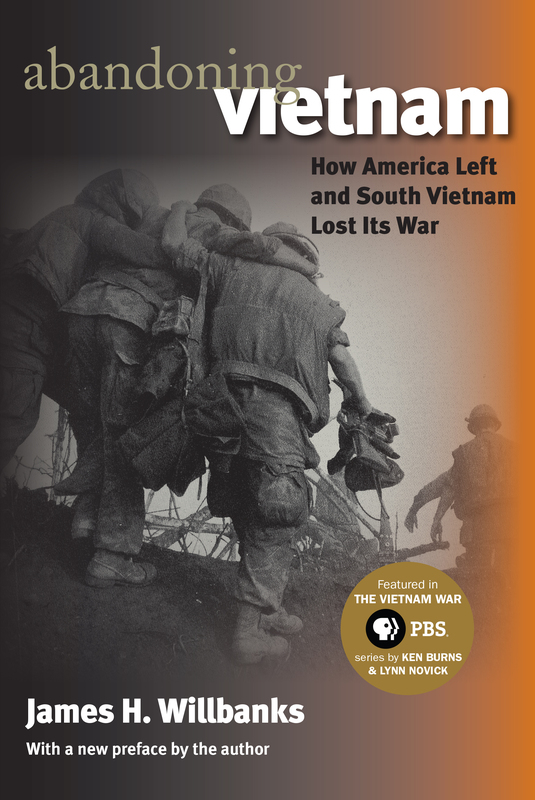 While James Willbanks doesn't offer any easy answers to that question, his book convincingly shows why America's strategy for exiting the Vietnam War failed miserably and left South Vietnam to a dismal fate. Drawing upon both archival research and his own military experiences in Vietnam, Willbanks focuses on military operations from 1969 through 1975. He begins by analyzing the events that led to a change in U.S. strategy in 1969 and the subsequent initiation of Vietnamization. He then critiques the implementation of that policy and the combat performance of the South Vietnamese army (ARVN), which finally collapsed in 1975. Willbanks contends that Vietnamization was a potentially viable plan that was begun years too late. Nevertheless some progress was made and the South Vietnamese, with the aid of U.S. advisers and American airpower, held off the North Vietnamese during their massive offensive in 1972. However, the Paris Peace Accords, which left NVA troops in the south, and the subsequent loss of U.S. military aid negated any gains produced through Vietnamization. These factors coupled with corruption throughout President Thieu's government and a glaring lack of senior military leadership within the South Vietnamese armed forces ultimately led to the demise of South Vietnam. A mere two years after the last American combat troops had departed, North Vietnamese tanks rolled into Saigon, overwhelming a poorly trained, disastrously led, and corrupt South Vietnamese military. But those two years had provided Nixon with the "decent interval" he desperately needed to proclaim that "peace with honor" had been achieved. Willbanks digs beneath that illusion to reveal the real story of South Vietnam's fall. James H. Willbanks is a professor in the Combat Studies Institute at the U.S. Army's Command and General Staff College at Fort Leavenworth, Kansas. An infantry officer for 23 years, he survived the devastating two-month-long artillery siege of An Loc during North Vietnam's 1972 Easter Offensive.